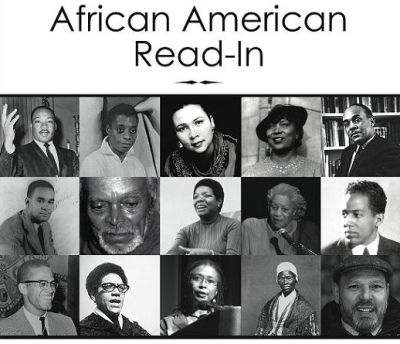 Our school is celebrating the National African American Read–In on Wednesday February 18th in the LMC during all lunch periods. If you want to read a piece authored by an African American author at the event, sign up using the form below. Click here to sign up in a Google Form. ‹ Nothing to do on Valentines Day? Have a Blind Date with a Book!